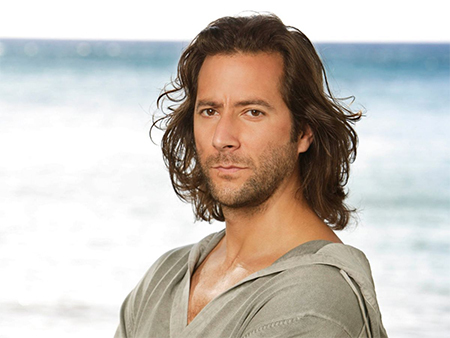 Henry Ian Cusick began his career as a classical theatre actor. His first leading roles on stage included: Dorian Gray in The Picture of Dorian Gray with Rupert Everett, Hamlet in The Marovitz Hamlet, and Horner in The Country Wife. His 1994 performances as Torquato Tasso in the Edinburgh International Festival production of Torquato Tasso, and Creon in the Citizens' Theatre production of Oedipus, earned him a commendation at the 1995 Ian Charleson Awards for outstanding performance by a young actor in a classical theatre role. On screen, after appearing in recurring roles in television series such as Casualty and The Book Group, he starred as Jesus Christ in the 2003 film The Visual Bible: The Gospel of John. His largest role to date came in 2005 when he was cast as Desmond Hume in the ABC series Lost. Originally a recurring guest star in the second season (for which he received an Emmy nomination), Cusick became a member of the main cast from seasons three to six. He also appeared as Theo Stoller in two episodes of season five of 24 and the 2007 film Hitman. He stars in the direct-to-DVD film Dead Like Me: Life After Death, a continuation of the cult classic television show of the same name. Cusick appeared in two episodes of Law & Order: Special Victims Unit in the twelfth season, playing Erik Weber, a vigilante with a Citizens Organized Against Predators group. He was in ABC's Scandal in 2011, but left the following year. He also played Trent Marsh in Body of Proof and currently appears as Marcus Kane in The 100, which premiered in March 2014. Henry will be appearing Friday - Sunday.